During my own family’s trips to the Northwest and Alaska, I was fascinated by the distinctive style of painting by those tribes, seen on old pieces in museums and by contemporary artists. It never occurred to me to wonder what the origin of the style was. It just “was”. Raban, however, comes up with a plausible explanation. The fundamental design unit, the ovoid, may be stretched or squashed in dimension, and may be subdivided by even more ovoids. Large compositions often have dozens of them packed together. This style of art makes perfect sense to me now. Have you ever had such an epiphany of understanding art as Raban did, contemplating the endless surface of the sea on his solo voyage? I have looked for visions in the clouds and in gourds, never water. What a wonderous experiment! I’ll be watching the water this summer. I lived near Haines AK for 2 years. We oftened visited the museum and the Tlingit villiage. There art is gourgeous, bright colors of white red and black! Such gracious people. Thanks for taking me back to the ’80s. Oh yes, the other epiphany I had was not just that Great Art is made by real human beings, one at a time, but that any particular art generally came after many studies and false starts on that particular subject. I expected long apprenticeships and early struggles, but somehow expected that the final result, the artwork found in museums, would come fully formed and without flaw from the genius of the hand and eye. I did not know that it would be the result of lots of studies and missteps and over-paintings. Pentimento, regret and re-paint — that made my eyes get wider. My own epiphany was in truly realizing that the art we see in museums and books was made by a person and had a back story of its own; it did not just suddenly appear but required the hand and mind and personality and history of the artist. I get the strongest feeling about this when attending a concert performance; I feel like the composer is physically present in the room. Immortality! Fascinating. I’ve done a bit of studying of the Pacific Northwest Native art/totem forms and I even have a partially completed coloring book on the subject. I have often told the story of how Raven stole the light as a myth about my personal history, one in which I am all the characters involved. And yet I never heard anyone talk about the water and the way the ovoids work with it. I’m going to get that book. His analysis strikes me as just right. We both squealed in astonishment. Of course, that’s what the suffrage women were up against — you can’t get the vote unless you have the vote. Alas it wasn’t about art. 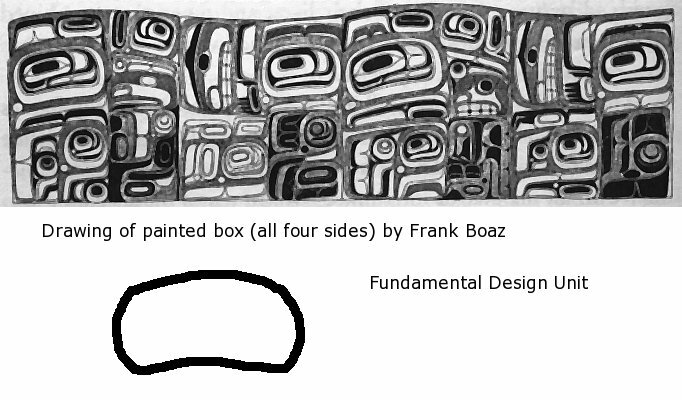 A couple of further titles: “Northwest Coast Indian Art: An Analysis of Form,” by Bill Holm; and (my favorite) “The Raven Steals the Light”, drawings by Bill Reid; Stories by Bill Reid and Robert Bringhurst. Wow, I would never have thought of interpreting the art that way, but it DOES make so much sense. My epiphany of understanding was not art related, but it did open up a whole new level of comprehension. I was reading one of Joseph Campbell’s books (Hero with a Thousand Faces, I think) while my husband was going through Basic Training and then Officer Candidate School immediately afterwards. As I read, I realized that the seemingly innane processes and rituals they were going through were the first few steps in the hero’s journey — a coming of age of sorts. Like Campbell’s heroes, they were departing one community and being born again into their new community, facing initiation and trials, and hopefully one day to return to enlighten the community. The epiphany gave me much greater patience when dealing with the different man my husband had become, and in trying to integrate into this new community into which I had not been initiated. That’s amazing, Eileen! As soon as I read your post and went back to the beautiful photograph of the water, I could see those creatures in it. Fantastic.